Independent TV production companies Hat Trick and Avalon have issued a statement this morning following press reports linking them to a bid to buy BBC Three. "Under the new ownership, BBC Three would continue to broadcast on all digital platforms, all current contracts would be honoured and the channel's programme budget would be increased from £81m to £100m a year. Under the BBC's plans to take the channel online, that budget is to be cut to £30m a year. "All original commissions would be made by UK companies and the channel would continue to be aimed at a young and ethnically diverse audience." 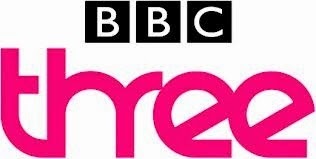 The BBC plans to axe BBC Three as a regular TV channel later this year. Hat Trick is best known for programmes including Have I Got News for You and BBC Three's The Revolution will be Televised. Avalon is known for Russell Howard's Good News, which recently moved from BBC Three to Two, and previously brought us ITV's TV Burp. BBC management are understood to have rejected the bid, with the production companies having now approached the BBC Trust about the matter. Update 11:30: The BBC executive have gone on the record that "BBC Three is not for sale" - because "it's not closing, it's moving online". What i don't understand is the BBC already have a commercial arm and commercial digital channels from UKTV. Surely it makes sense for the BBC to commercialise the channel, without the BBC name, as a channel showcasing a mix of popular TV shows such as Good News, Family Guy mixed with Public Service programmes. If they managed to buy BBC Three, where would there funding come from? Advertising? In that case, why dont Avalon and Hat Trick launch a channel like that anyway? Without the BBC name. How about "Three TV"?